“It’s time for a new generation of people. I’m almost 70, we need to sit back a little bit,” said Jeanie Crocket of Lawrence, Massachusetts. 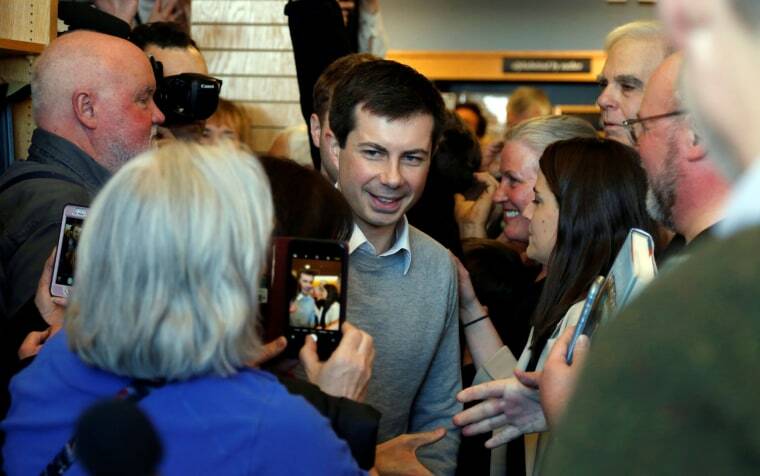 But if Buttigieg’s two-day campaign swing through the first in the nation primary state is any indication, many Democratic activists are drawn to the South Bend, Indiana, mayor’s message and don’t see his age as a liability. “It’s time for a new generation of people. I’m almost 70, we need to sit back a little bit,” said Jeanie Crocket, who traveled from nearby Lawrence, Massachusetts, to see Buttigieg at a campaign event here. Among more than a dozen Democrats eyeing the party’s presidential nomination, Buttigieg in recent weeks has broken through as a candidate on the rise: a Harvard educated Rhodes Scholar, military veteran, openly gay and by far the youngest in a highly diverse field. Buttigieg’s pitch, which he calls “intergenerational,” warns of a future in crisis if certain issues aren’t addressed, notably cybersecurity and climate change.